Learn why and how Hanukkah is celebrated with math, writing, food, games, sensory play, art, and crafts. 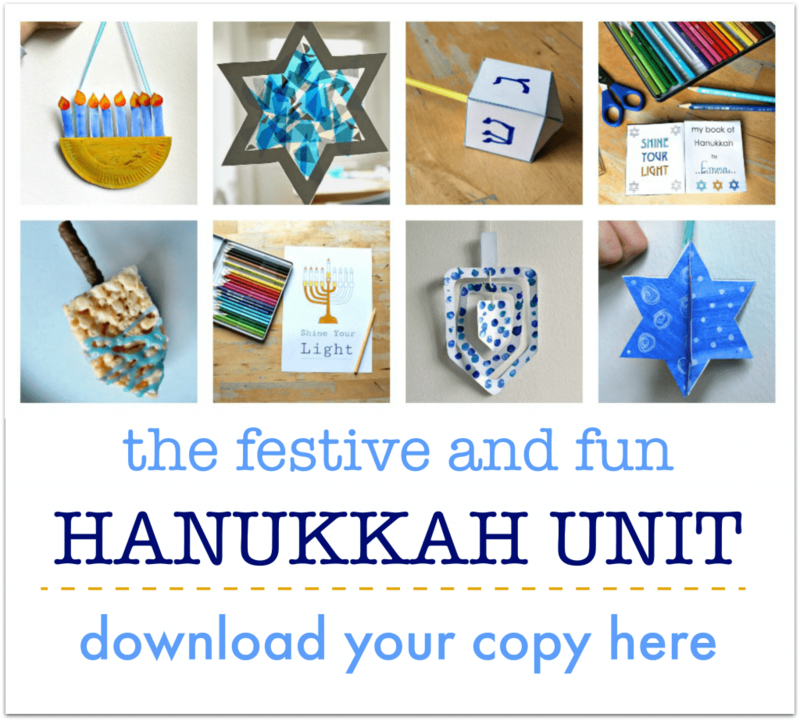 I’ve created this Hanukkah Unit to make it easy for you to introduce your children to this special festival. Everything is organised for you, with (simple) materials lists and supporting printables. It’s a no-prep solution that will make the Jewish Festival of Lights fun and meaningful, for you and your children. Everything you need for this festive unit, all in one place. :: You’re a teacher who needs a great set of festive lessons and activities that fit right into your classroom planning. Math, literacy, multi-cultural learning, arts and crafts – I’ve got you covered, with lots of printables so it’s super easy to give your class a fun, educational holiday celebration. :: You’re a home educator, who loves to mix in inclusive, multicultural learning through the year. This kit will give you a complete unit, with lots of hands-on learning packed into all the play. :: You’re a childminder, nanny or educator who loves to give your children the fun of a themed week. 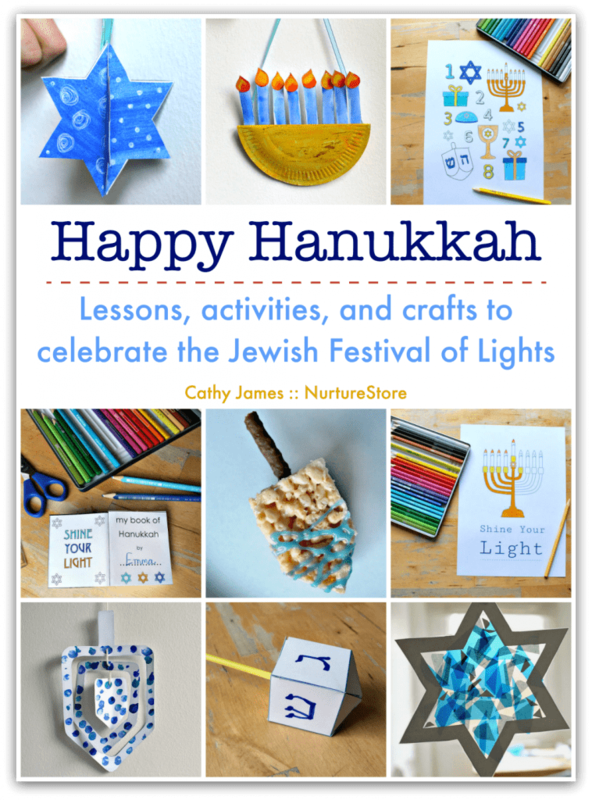 With super ideas for Hanukkah-themed play and learning, you can give your children a delightful and educational time. :: You’re hosting a party or holiday club, at home, in class, or in a community centre. You’ll find delicious recipes, fun games, and great arts and crafts. Everything is simple to set up and lots of fun – for you and the kids! 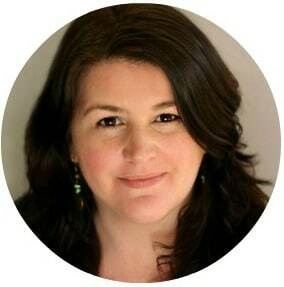 I’m the author The Garden Classroom (published by Roost Books), Super Sensory Invitations to Play, and Art Spark. I’ve also worked in preschool, high school, and as a childminder, where my provision was rated as ‘outstanding’ by OFSTED.